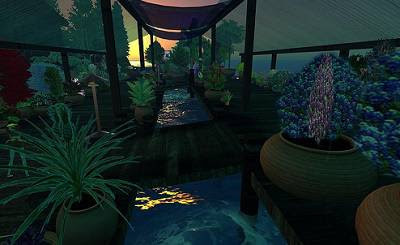 This guide to teach you the basics of Second Life use. As a quickstart guide, it has a very spartan format. I don't try to teach everything, but provide a fast way to start visiting virtual worlds and converse with people in them. There is also a Second Life keyboard shortcuts cheatsheet that you can download here. If you are going to use this guide, it is supposed that you already created an account in Second Life. If you didn't, go to join Second Life. If you join Second Life, you must choose a surname for your avatar. If none of them satisfies you, I recommend you to come back later, and try to see if some others are available, as they constantly change. Your avatar can also be customized, and there are tutorials and resources to have a customized avatar. But the basic avatars that you're given for free when you register are a little difficult to customize. So choose that one that is more similar to your desired appearance. The camera is where you look. The most easy way to control the camera is through the menu View/Camera Controls, and use the floating window that appears, in addition to these keys. Another way is to move using the arrow keys, and when you arrive somewhere, use the 1st person view (mouselook, M key) to look where you want and take a snapshot, for example. Ctrl-Alt-Arrow keys -- Pan up and down and rotate camera. You can save what you see in the screen, for example to upload it to Flickr, or save it in your hard drive as a virtual photo. You can also upload it to your Second Life account (it costs 10 Linden dollars). The fastest way to take a series of screenshots is to configure the size and options through the dialog displayed when you press Ctrl-Shift-S, and then use the fast capture to hard drive. With that, you just move, frame the picture, and then press Ctrl-` each time you want to save a screenshot. 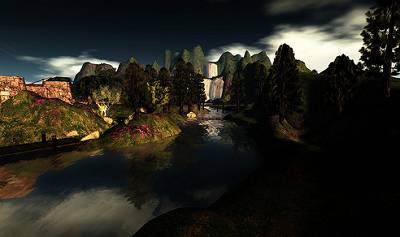 You can control the time of the day in Second Life. That way, if it's at night or noon, you can turn it to be a sunset just pressing a key. If the movement with mouselook (1st person view) is too rough, you can use Ctrl-P to show the Preferences, and in the top second tab, adjust the mouse sensitivity to something lesser. If you're using a graphics tablet, you may want to set it to minimum. The left click in this mode keeps the looking point still, and may be needed (specially with graphics tablets) to take a snapshot to disc, using Ctrl-`. 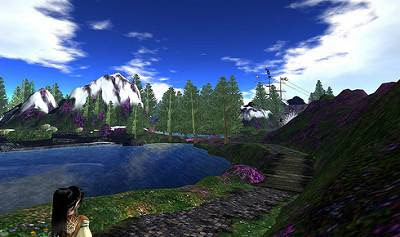 When you capture a screenshot in Second Life, all the interface elements (menus, controls, HUDs) are hidden, unless you specify it in the screen capture options. Ctrl-shift-Y -- Change to noon. To add a friend, you can just open the Communicate/Friends dialog by pressing Ctrl-Shift-F and then use the button "Add" to look for your friends whose SL name you already know. Other way is to use the Search dialog, pressing Ctrl-F and the People tab, that may be better to meet new people. You can chat to friends or send them messages, which is done through the Friends dialog. The chat is heard on a 20 meters radius, and the other mode is shout, which is heard on a 100 meters radius. Your avatar has gestures. You can play them with the Gestures dialog (Ctrl+G) or using the special text show in that same dialog. Just press Intro to start talking, and Esc to close the chat window. You will see other people's chat text appear in the screen and vanish after some seconds. Pressing Ctrl-H you will get a floating chat window. To search places to visit, just use the Search dialog (Press Ctrl-F). There are tabs for searching people, places and many more. Type something in the search box and select a place. You can then read its description, and pressing the "Teleport" button, go there. There are "Teleport" buttons in other dialogs, like in the Map. The big Map can give you lots of information about where you are. For seeing the map as you move, the mini-map is more practical (Ctrl-Shift-M). There is also a Landmarks drop down menu to teleport yourself to your saved places (explained below). Friends dialog has also a "Teleport" button that will take you where your friends are, if they're online. Another way to move is establish a landmark where you are. This is like an hyperlink inside Second Life. These landmarks are stored in your Inventory (that is like a giant bag where you can store objects and more ethereal things like this). To create a landmark just use the menu World/Create Landmark Here. Then, open the inventory with Ctrl-I and you'll see your Landmarks listed there in a folder. Right-click and select Teleport, or double click and press the Teleport button. 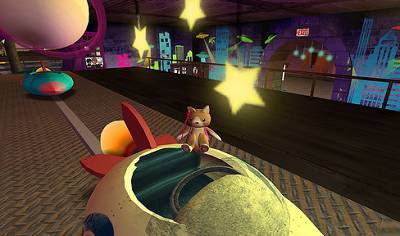 In Internet, many times you'll find something called SLURL. 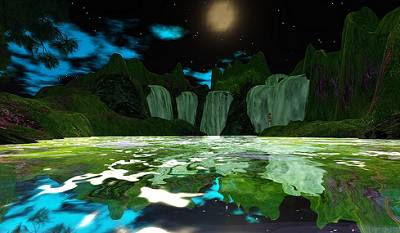 A SLURL is a link to a location inside Second Life. When you click one of them for first time, just tell your web browser to always open them in the Second Life client software.